He was prolific and both critically acclaimed and popular among middle-school boys – a rarity. 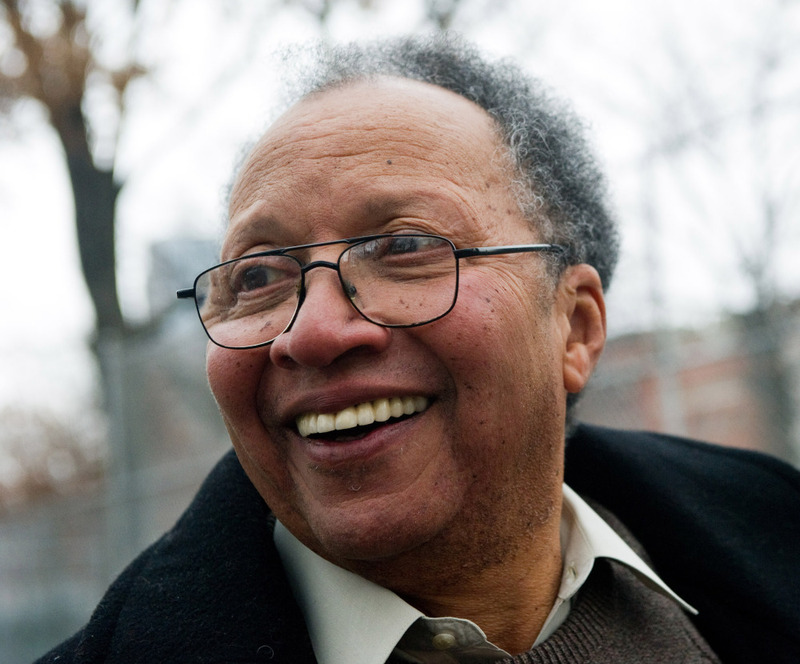 NEW YORK — Walter Dean Myers, a best-selling and prolific children’s author and tireless champion of literacy and education, has died. He was 76. Myers, a longtime resident of Jersey City, New Jersey, died Tuesday at Beth Israel Medical Center in Manhattan after a brief illness, publisher HarperCollins announced. A onetime troublemaker who dropped out of high school, the tall, soft-spoken Myers spent much of his adult life writing realistic and accessible stories about crime, war and life in the streets. He completed more than 100 books, his notable works including “Monster” and “Lockdown,” and was the rare author – black or white – to have a wide following among middle-school boys. Widely loved in the literary community and a leading advocate for diversity in children’s books, he was a three-time National Book Award nominee and received five Coretta Scott King awards for African-American fiction. In 2012-13, he served as National Ambassador for Young People’s Literature, a position created in part by the Library of Congress. He was an unofficial ambassador well before that, visiting schools, prisons and libraries around the country. Myers’ books were usually narrated by teenagers trying to make right choices when the wrong ones were so much easier. There was the 17-year-old hiding from the police in “Dope Sick,” or the boarding school student in “The Beast” who learns his girlfriend is hooked on drugs. He was careful not to make judgments, and in the crime story “Monster” left doubt over whether the narrator was really guilty. One of five siblings, he was born Walter Milton Myers in Martinsburg, West Virginia, in 1937. His mother died when he was 18 months old, and he was sent up to Harlem and raised in a foster home by Herbert and Florence Dean, a janitor, and a cleaning woman and factory worker, respectively. In honor of his foster parents, he took the pen name Walter Dean Myers. More than 6 feet tall by middle school, he was a basketball star, but also a stutterer who was teased often and often fought back in return. Meanwhile, back home, he was happy to sit quietly and read. Myers was gifted enough to be accepted to one of Manhattan’s best public schools, Stuyvesant. But he was also shy, too poor to afford new clothes and unable to keep up with the work. Myers began skipping school for weeks at a time and never graduated. He served three years in the military, and later was employed as a factory worker, a messenger on Wall Street and a construction worker. Eager to be a writer after reading James Baldwin, he contributed to Alfred Hitchcock’s mystery magazine and numerous sports publications. His first book – “Where Does the Day Go?” – was published in 1969 after he won a contest for children’s literature by people of color. Myers’ novel “On a Clear Day” is scheduled to come out in September.